For this question, the correct answer is D. The statement focuses on the expression of feelings and is therapeutic. Option A is is not therapeutic because the nurse passes the responsibility to the counselor. Option B. is giving advice is not therapeutic as it virtually terminates the conversation. Option C is not also therapeutic because if confronts the underlying cause. When it seems as if clients would like to discuss fears, concerns, angry feelings, then encourage their expression. It is important that the nurse is honest with her responses to encourage trust and build a therapeutic relationship. Honesty will support a trustful and a firm relationship. The correct answer is option A. Since the client has signs of dementia, she should be reoriented to reality and be focused on there here and now. Option B is not a helpful approach because of the short term memory of the client. Option C indicates a pompous response. Option D is cognitive limitation of the client makes the client incapable of giving explanation. Encouraging clients to talk through verbal and nonverbal techniques is supportive and serves to further the relationship. A. “I guess you’re worried about something, aren’t you? The answer here is D. By acknowledging the observed behavior and asking the client to express his feelings the nurse can best assist the client to become aware of his anxiety. 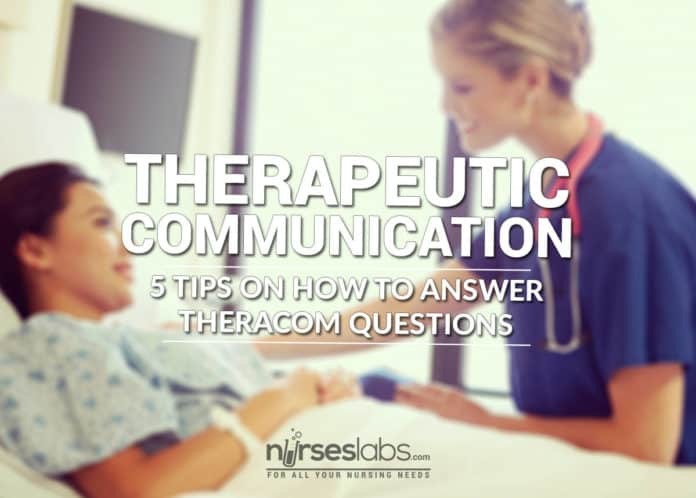 In option A, the nurse is offering an interpretation that may or may not be accurate; the nurse is also asking a question that may be answered by a “yes” or “no” response, which is not therapeutic. In option B, the nurse is intervening before accurately assessing the problem. Option C, which also encourages a “yes” or “no” response, avoids focusing on the client’s anxiety, which is the reason for his pacing. Accept the client whatever or how he is regardless of his condition and verbalizations. Additionally, you would not want to reject the client even if you could not condone or accept his behavior. A male client tells the nurse he was involved in a car accident while he was intoxicated. What would be the most therapeutic response from nurse Julia? Choosing option A would make the client feel defensive and intimidated. Option C is judgemental, remember any judgemental approach is not therapeutic. Option D is about giving advice and here, the nurse suggests that the client isn’t capable of making decisions, thus fostering dependency. For this question, option B is the correct answer as it encourages the widest range of client response and makes the client be an active participant in the conversation. Responding to an important cue is essential therapeutic technique if the nurse is to focus on the client and maintain a goal-focused interaction. A newly admitted client diagnosed with obsessive-compulsive disorder (OCD) washes hands continually. This behavior prevents unit activity attendance. Which nursing statement best addresses this situation? The most appropriate statement by the nurse is, “Let’s figure out a way for you to attend unit activities and still wash your hands.” This statement reflects the therapeutic communication technique of formulating a plan of action. The nurse attempts to work with the client to develop a plan without damaging the therapeutic relationship or increasing the client’s anxiety. Have any tips? Share them with us via the comments section below.